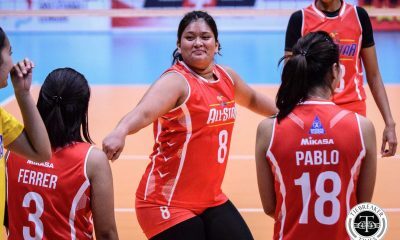 Before volleyball made a boom into the local mainstream, Mary Jean Balse-Pabayo was one of the sport’s pillars. 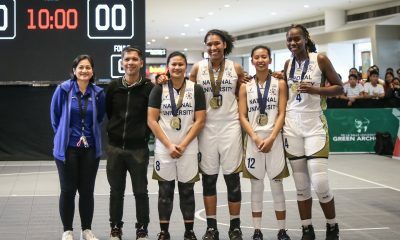 With numerous stints as the National Team’s anchor and with her starring on the Army Lady Troopers’ best teams in the late 2000s to to early 2010s, ‘Ging Balse’ is most fondly remembered as a University of Santo Tomas Golden Tigress. 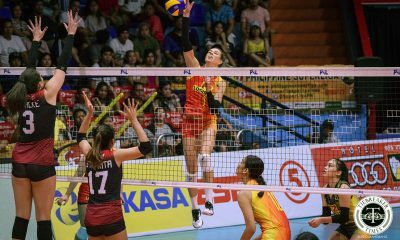 The Tagum City native brought UST to a UAAP Women’s Volleyball title in Season 79 and two championships in the Shakey’s V-League. 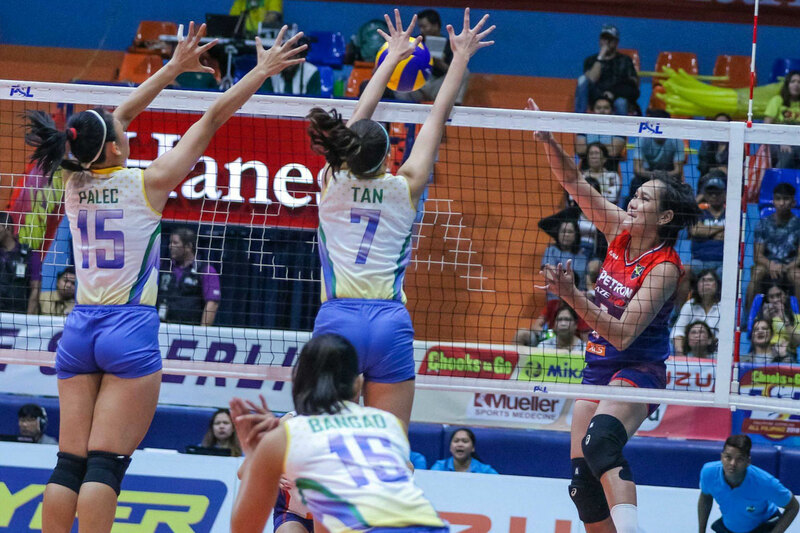 Now in the twilight of her volleyball career, the 35-year-old is relishing her stint with the Petron Blaze Spikers in the ongoing 2018 Chooks-to-Go/Philippine Superliga All-Filipino Cup. 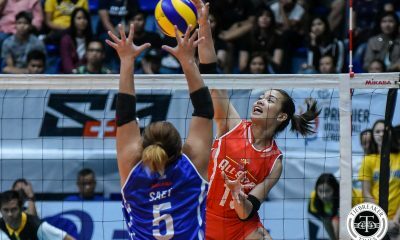 Balse-Pabayo has had many teammates over the years, but has always treasured her fellow Tigresses the most. 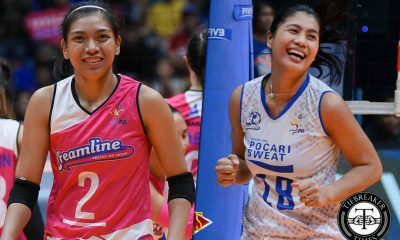 In Petron, she reunites with fellow beloved Tomasinas in Aiza Maizo-Pontillas and Rhea Dimaculangan. 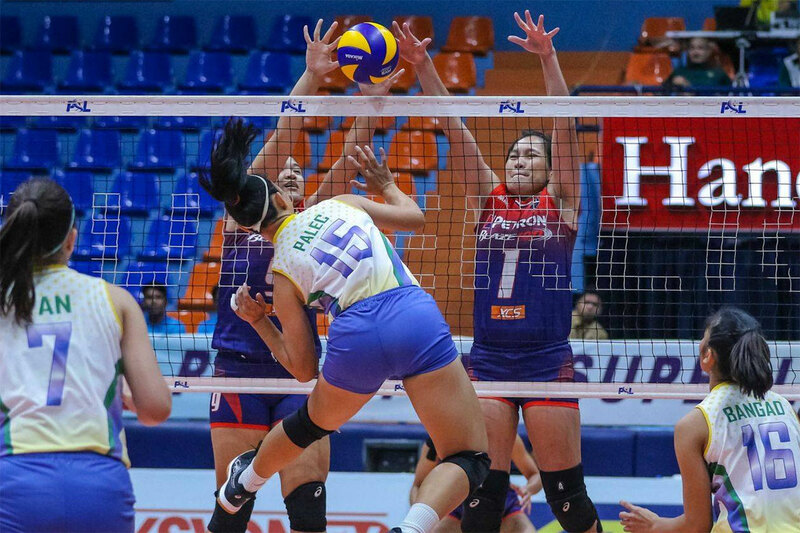 After Army decided not to field a team in the AFC, Balse-Pabayo prayed that Petron would pick her up, as the Lady Troopers found themselves on different club teams. 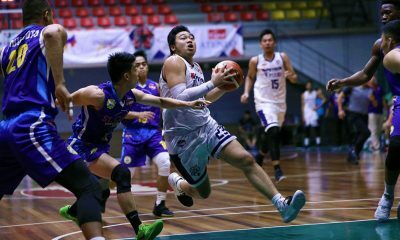 Former UST head coach and current Petron tactician Shaq Delos Santos made sure they signed Balse-Pabayo. “Actually, ang tagal naming hinintay si Ging. 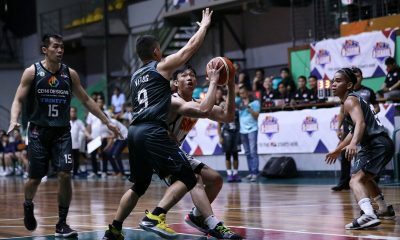 “Kakabalik niya lang ulet kasi pinagpahinga ko lang,” recalled Delos Santos, who knew Balse-Pabayo still had to play with Army in the Armed Forces of the Philippines Olympics. This reunion with her former teammates was one of the things she wanted before retiring. 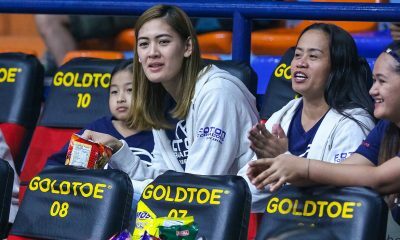 Now a mother, Balse-Pabayo says she still has two or three years before finally hanging up her playing shoes. “Sarap ng feeling. 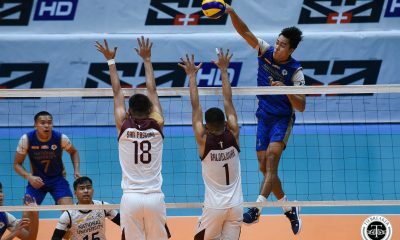 Kumbaga sa akin, before ako mag-retire sa volleyball, makakasama ko pa ‘yung mga dating players namin sa UST. 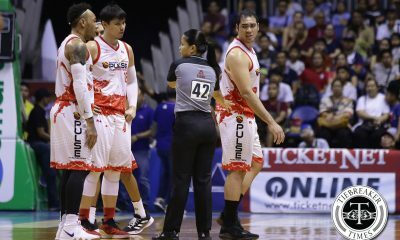 Lalo na si Aiza, si Rhea,” Balse-Pabayo told Tiebreaker Times. 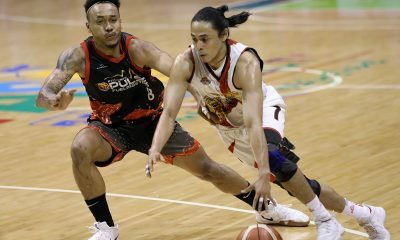 Dimaculangan and Pontillas feel the same about their senior. 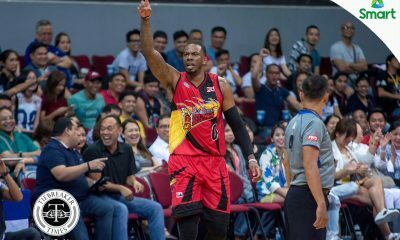 “Masaya din kasi siyempre hindi na lang ako ‘yung senior sa team. Hindi na lang ako ‘yung matanda. 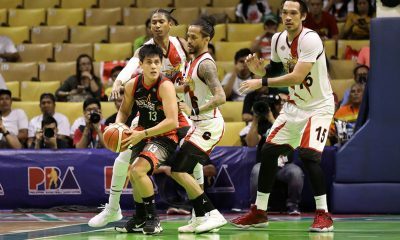 Si Ate Ging nandiyan siya para mag-motivate sa amin,” said Pontillas. “Sobrang happy kami, lalo na kaming dalawa ni Nang (Pontillas) kasi nga after ilang years, ngayon lang kami nagsama-sama. Marami na din kasi kaming pinagsamahan before,” admitted Dimaculangan. For a team as stable as Petron, Balse-Pabayo brings with her unparalleled leadership. The Southeast Asian Games bronze medalist’s reputation is unrivaled among her peers. 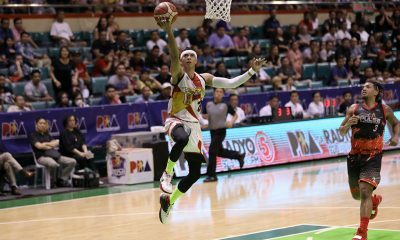 Though her best playing days are behind her, Balse-Pabayo is still essential. 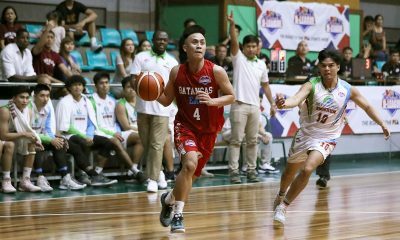 “Sabi ko nga pakundisyon lang siya kasi alam na niya ‘yung kaya niyang gawin, alam niya na ‘yung role niya; ‘yung pagiging senior,” Delos Santos concluded. Pabayo also gets to play with current UST star Sisi Rondina in Petron. 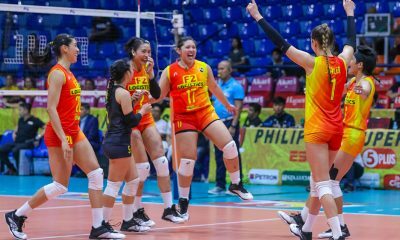 Pabayo sees a lot of herself in the Cebuana, especially with the way Rondina carries herself on the court. While the difference in size between the two generational stars is great, they both play with their heart on their sleeves. “Matapang si Sisi, kitang-kita mo sa kanya ‘yun. 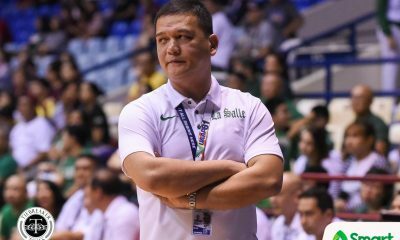 “Kita mo rin na gusto niyang parang buhatin ‘yung teammates niya kapag-down na,” Pabayo observed. 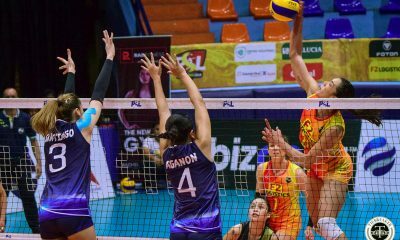 For Rondina, getting play with Pabayo, Dimculangan and Pontillas brings out the fan in her. 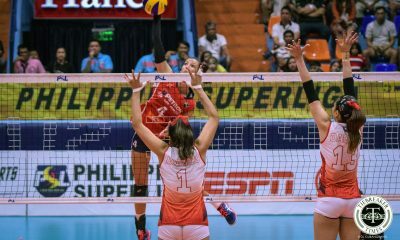 Coming up as an undersized open spiker, she never thought she would get a chance to share the court with her idols. “Parang dati lang sa TV ko sila napapanood. Di ko talaga aakalain na makakalaro ko sila ngayon, makakasama ko pa sa mga kalokohan ko,” Rondina shared. 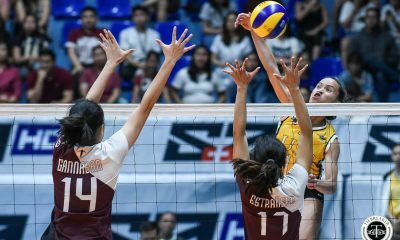 Just like with Pabayo, Rondina is a favorite among former Tigresses due to her unassailable desire to win. 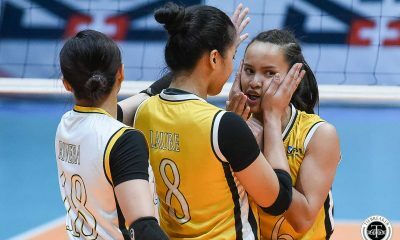 “Hindi ko in-expect na ganoon ‘yung tingin nila sa akin,” said Rondina of her seniors’ remarks. “Ganoon talaga ako eh — ayaw kong nagpapatalo. Kahit nga sa debate, di pa rin ako papatalo kahit ako ‘yung mali. 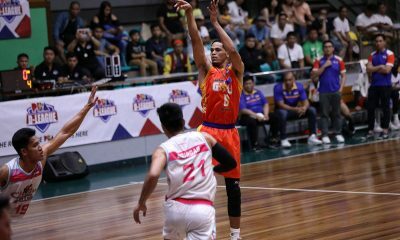 “Kung ano naman ‘yung ginagawa ko ngayon, kung paano ko dalhin sarili ko, ganoon naman nila dinala din ‘yung pagiging player ng UST dati. 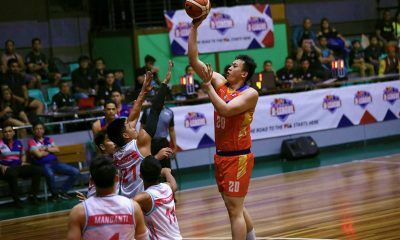 Proud ako na natutuloy ko ‘yung tradition and nasusuot ko ‘yung jersey na sinuot nila dati,” the incoming UST senior added. 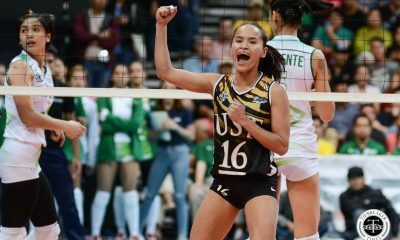 Now approaching her final year of UAAP playing eligibility, Rondina is absorbing as much as she can from the UST greats around her. She’s learning to become a leader. 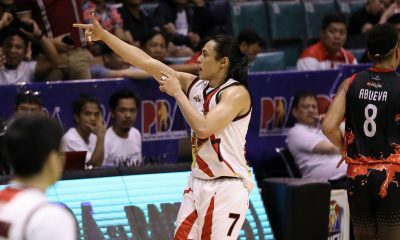 From Pabayo, she figured out that leading a team requires more than on-court production, but also off-court accountability. “‘Yung pagiging leader talaga, pagiging stable kapag crucial. 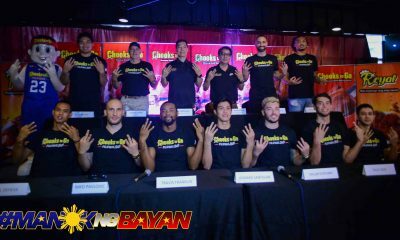 Sino ba namang ayaw sundin ‘yung ginagawa nila, di ba? 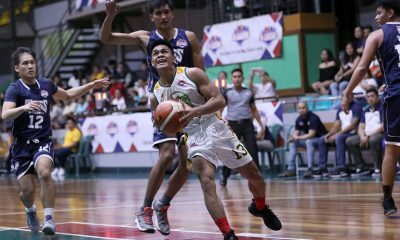 Nahahawa talaga ako sa kanila,” Rondina said.